William Oltman Stuttmeister is listed as living in Oakland when he wet to Dental College. 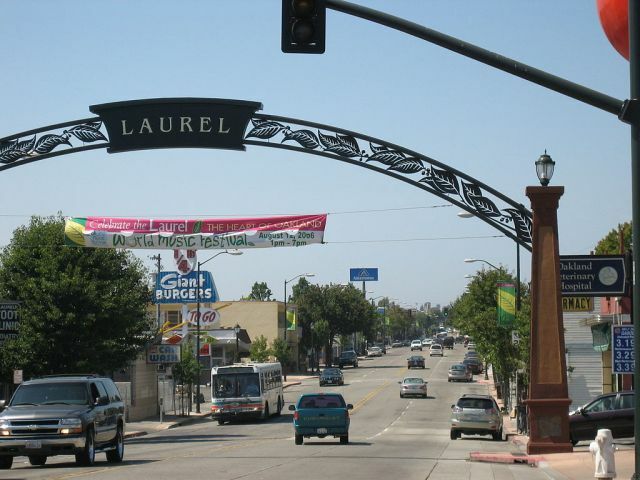 Laurel Street may have been developed by William Stuttmeister. Rosemary told me they gave the names of trees to the new streets of Fruit Vale. 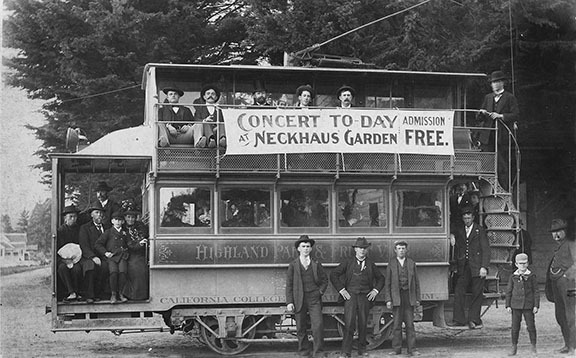 I found the streetcar line that Melba took with her infant son sitting on Joaquin Miller’s lap. 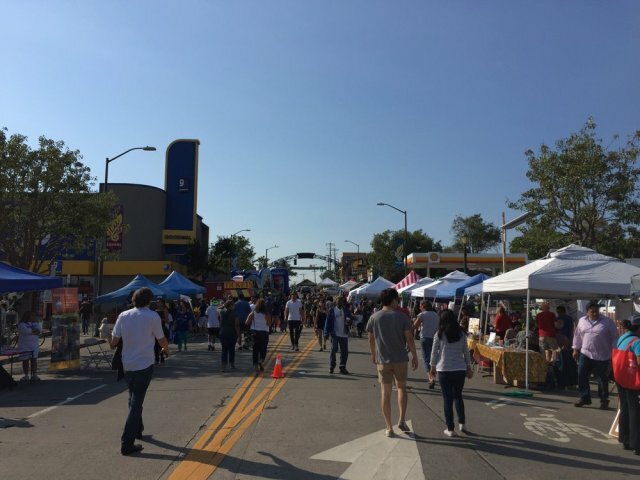 There is a street fair in Laurel Village. 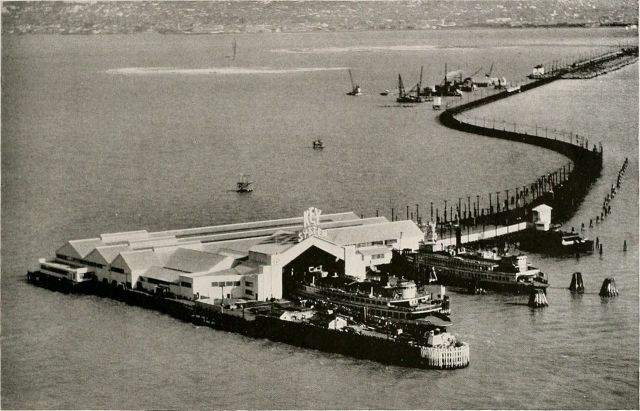 The Fruit Vale steetcar would end at the Oakland Ferry that Melba would board to go see the father of her son who was living in the Barbary Cost. This is right out of Steinbeck. 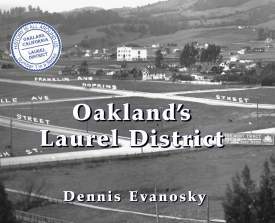 And how many people crossing Fruitvale Avenue at MacArthur Boulevard in the Dimond District know that a streetcar line, the Highland Park & Fruit Vale, crossed there with its passengers from the old town of Brooklyn at the foot of today’s 13th Avenue?